The Love that Dog Hollywood! 1040 North Las Palmas Ave.
Love that Dog Hollywood! The Radio Show! is made possible by your generous contributions. We work to bring the voice of the voiceless and the rescues, workers and people who help save them get their word out. Please support our vision of saving lives. This sweet little guy, Coconut, was running in the street on Overhill & Slauson where he was nearly hit by a car. A Very Nice lady pulled over to save his life. He was afraid and ran, but when she kept looking for him it turns out he had scooted back to hide under her legs. She put him in the car and brought him to the shelter the same day (11/2/11). Today she came back to check on Coconut, only to discover that he Loves her Dearly and is very Bonded to her. Coconut ignores everyone else when she is there, jumping, whining, and pulling at her clothing for her attention. Unfortunately, although she wants to adopt him, she is living with someone who does not like dogs and she doesn’t feel it would be fair for Coconut to be secluded to her bedroom alone when she is not home. 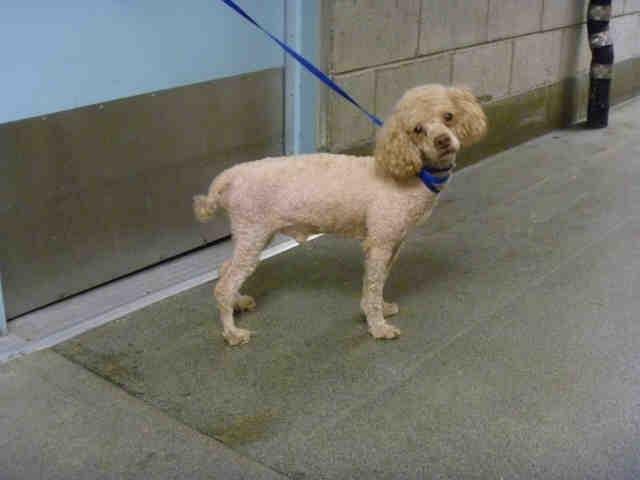 Coconut is @ the SLA Shelter: 3612 11th Avenue, Los Angeles, CA 90018 (213-485-0117/0119). Welcome to Love that Dog Hollywood! The Radio Show! We LOVE to talk with you too!! Devore Shelter Refuses Blankets from Operation Blankets of Love. Live! On the show today, Brad & Eileen tell the story of yesterday's events at Devore. Animal Communicator Marcia DeRousse returns to LTDH! live in our studio on November 23 Call in, Facebook or Tweet your questions! Marcia will also be at Love that Dog Hollywood! The Event! on Sunday, December 4th Noon to 4:00 PM! Marcia DeRousse is an actor, psychic, medium, animal communicator, pet psychic and energy healer. Her favorite work is with animals. Talking to them. "They are straight, pure love. I work with animals that are here and I can work with animals on the other side too. But they are just so perfect. They are here to teach us, and to love and be loved, that’s it!" Marcia is also an actor in Hollywood best known for her recent role as Dr. Ludwig on "True Blood."